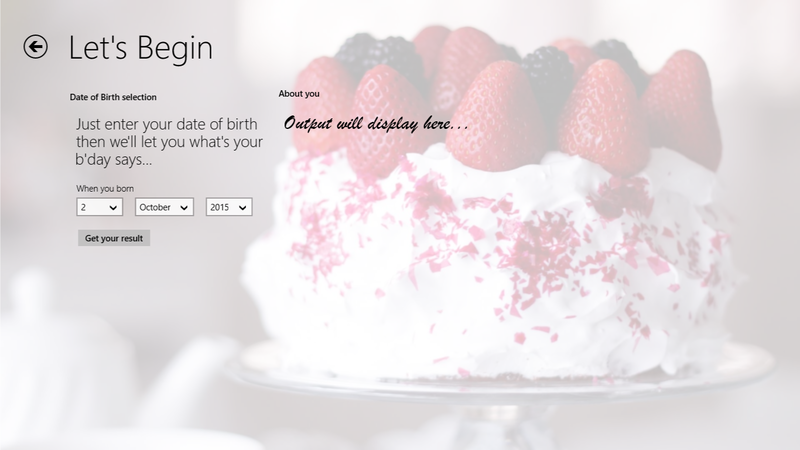 The beautiful and sleek designed Birthday Says elaborates the rich features about your birthday with new mouth-watering cakes photographs every week. 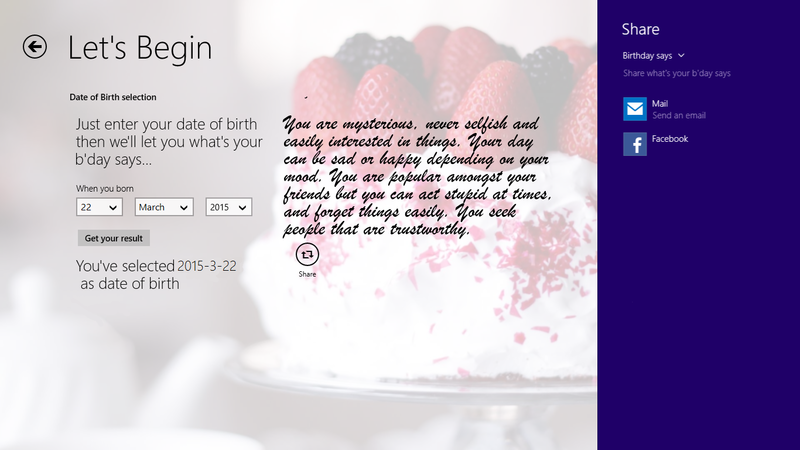 Just with little taps you'll get to know what's your birthday actually says about you. 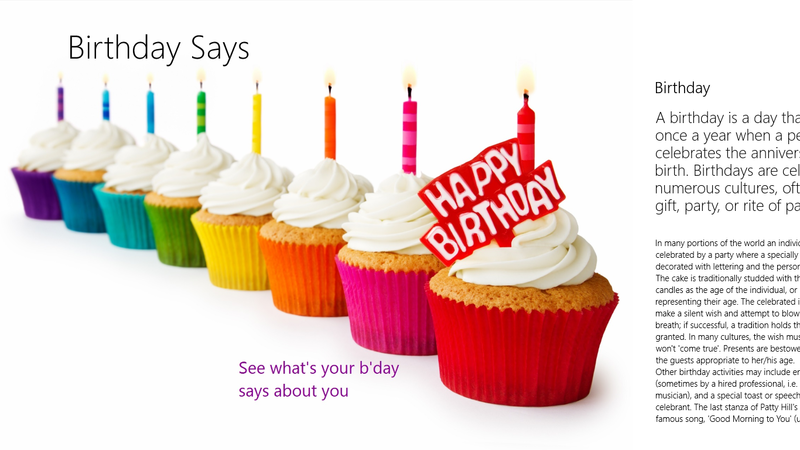 So, enjoy with your family and friends. 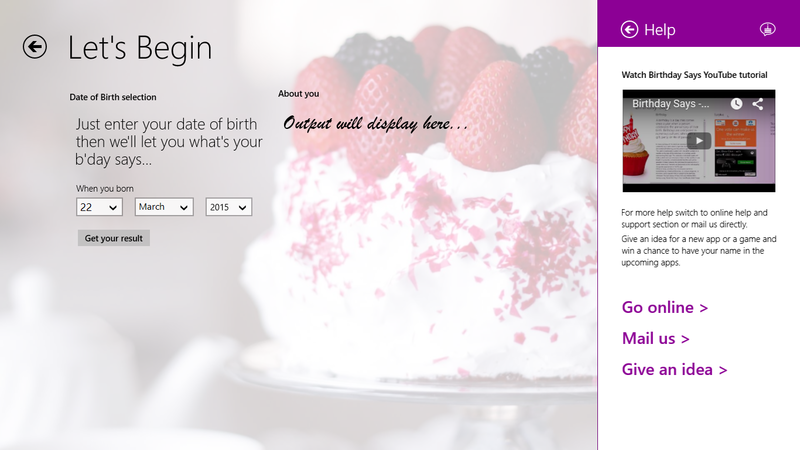 Designed for Windows Phone and Windows Store .